With vHive continuing to expand, we’re pleased to welcome our newest member of the team – Impact Manager, Muhammad Ali Ishaq. 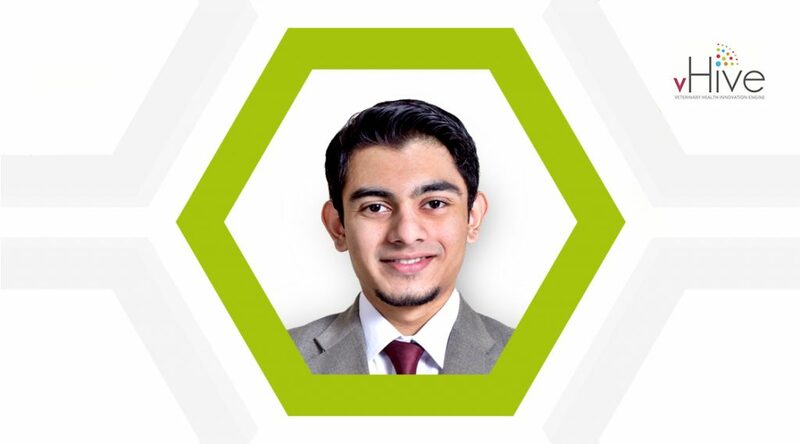 Ali brings to us a diverse experience in web technologies and digital marketing. As he takes on his brand new role, let’s get to know him better. I’m Ali, a tech and marketing enthusiast. I’ve recently joined vHive as the Impact Manager. Excel in whatever you do. Life is short; always be dedicated to your goals and make an impact on the world. And always remember to have fun along the way. I’m still fresh, but I do come with some experience. I started as a freelance web designer when I was in my teens; later I started working for a software company based out of Dubai, UAE while I was studying for my undergraduate degree. I later joined my university as their UI & UX Designer, where I started to progress more into digital marketing. I later worked on a startup and was responsible for all the marketing and design function; which was a great experience but the startup didn’t work out so well… I decided it’s time for a new experience, and here I am! All along this way, I’ve always had some side projects ongoing, websites or working with friends on “the next big thing”. Still not a millionaire though. What does your role as an Impact Manager mean? It is a broad role with a very specific goal – creating an impact. My job is to leverage digital marketing and create content which ensures the efforts and achievements of vHive are presented to the world. The aim is to get it out to relevant stakeholders so that vHive can create an ‘impact’ in the business and academic world. How did you first get involved with digital marketing? Since I was a teenager, I was always involved with websites; either running them myself or working with a friend. I didn’t know it back then, but a lot of the efforts I was doing to increase traffic and rankings of those websites was all digital marketing. Formal education in marketing and the opportunity to be involved with the website and social media marketing of a large university expanded my interests in the field. What do you find most challenging about your new role as Impact Manager and digital marketing in general? Digital marketing sounds simple; that it’s just having blogs and social media accounts. But it’s so much more than that; especially when there is so much noise in the digital world, where it can be hard to make your brand visible. vHive is working on great technology in veterinary sciences and animal health. Unlike a product or service that can be targeted to the mass public, vHive’s work is on a very niche area. Being new to veterinary-related stuff; my current challenge is learning about the industry and know what’s happening in it around the world. vHive is this really cool technology hub; where exciting projects are taking place that can really change the world of animal health. My first impression was pretty much “Wow – this is so cool!”. There’s a lot of exciting work going on with a very enthusiastic team. I’m really glad to be a part of the team; and even though I’m very new here, I’m starting to enjoy it. If you weren’t doing marketing, what would you be doing instead, or what would your life be like? I would probably be travelling and taking pictures. I’m a hobbyist photographer who doesn’t get to take out his camera as much as he’d like. And I also love to travel, another thing I don’t get to do much. So if I wasn’t here, and I had all the money in the world, I’d be visiting new corners of the world every month. And collecting the latest gadgets! Well, my latest achievement has been landing this job! Haha! Besides that, I have many small successes which hold a lot of value to me. This includes my academic achievements; as well the opportunities to work on exciting projects throughout the years. More recently, it has been me making it to the UK and studying at a great university here. My must read books are always changing – there are too many great books. But right now I’d say ‘Originals – How Non-Conformists Move the World’ by Adam Grant; and ‘Rich Dad, Poor Dad’ by Robert T. Kiyosaki.